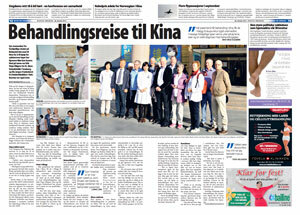 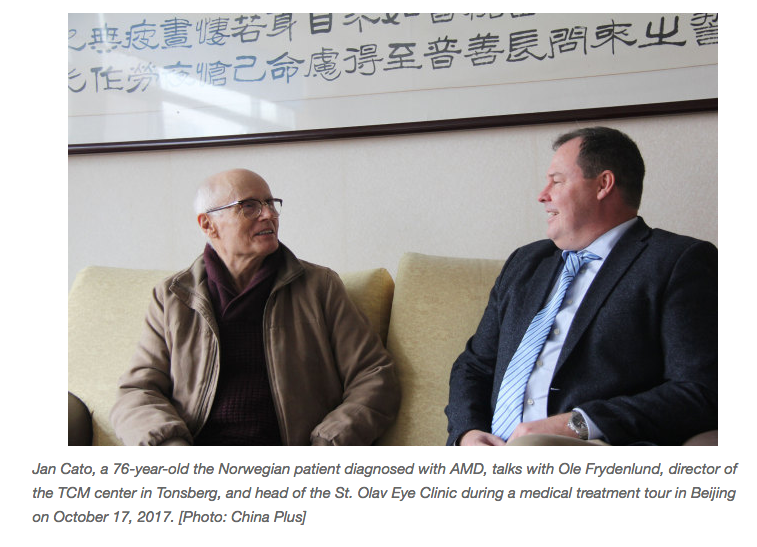 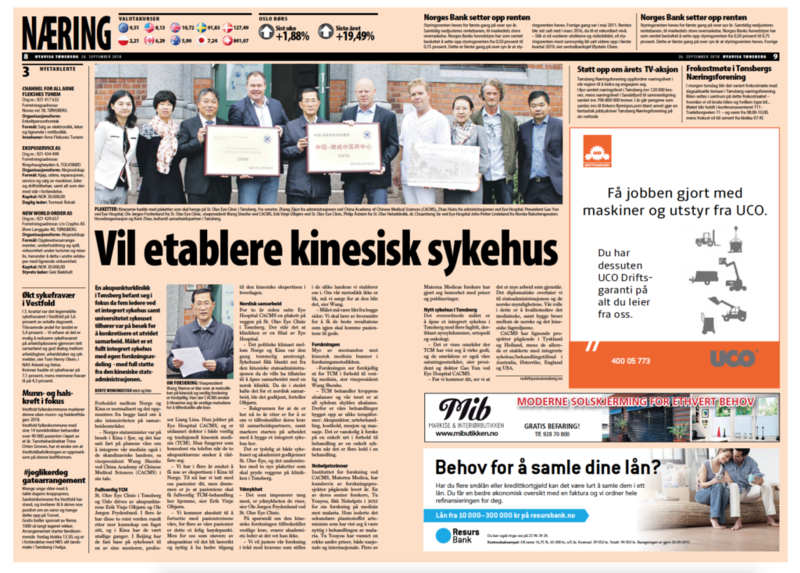 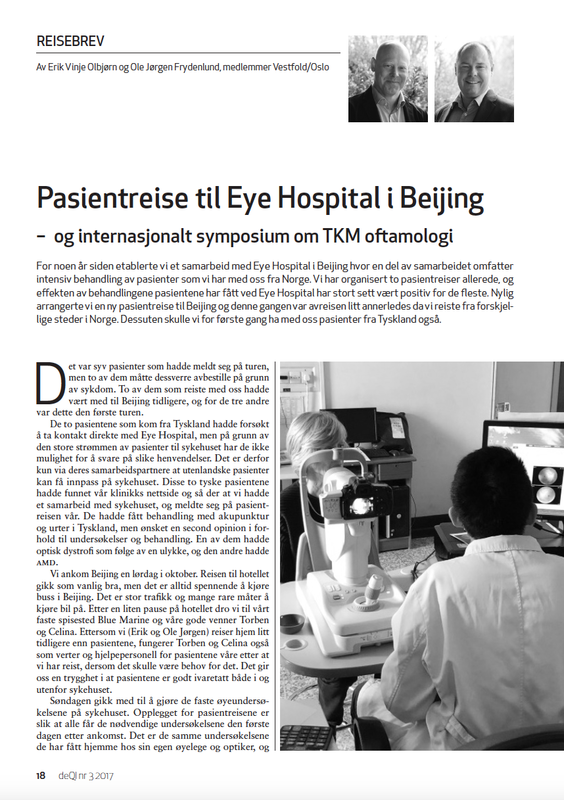 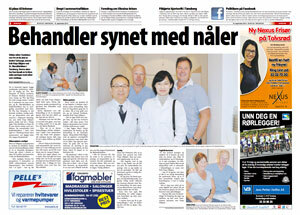 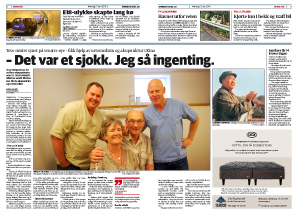 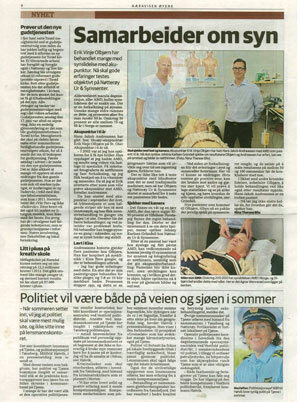 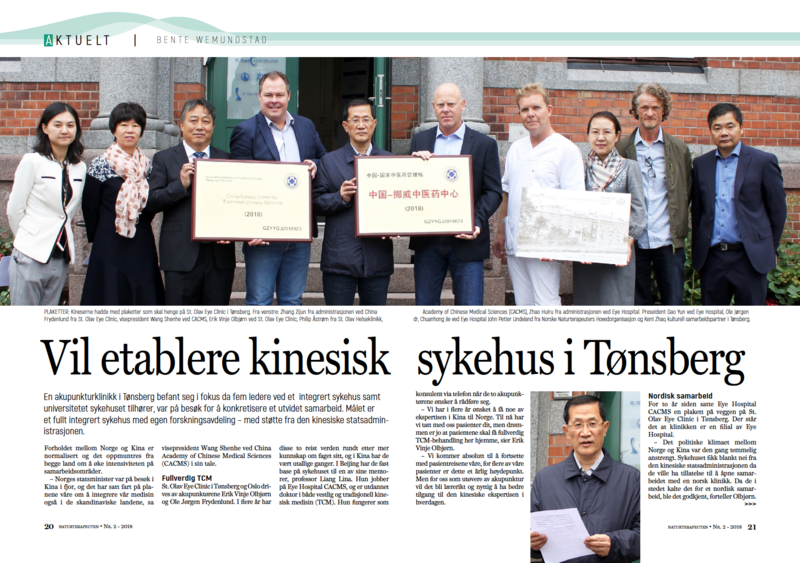 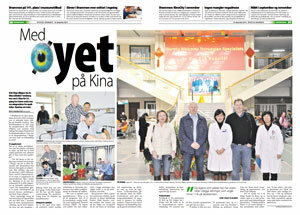 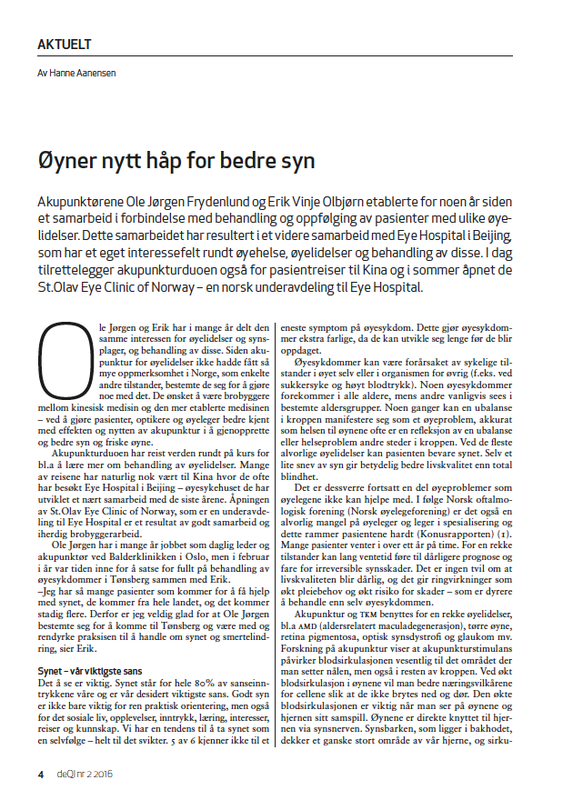 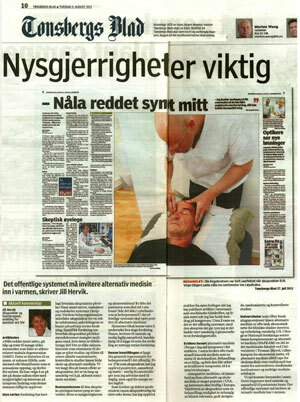 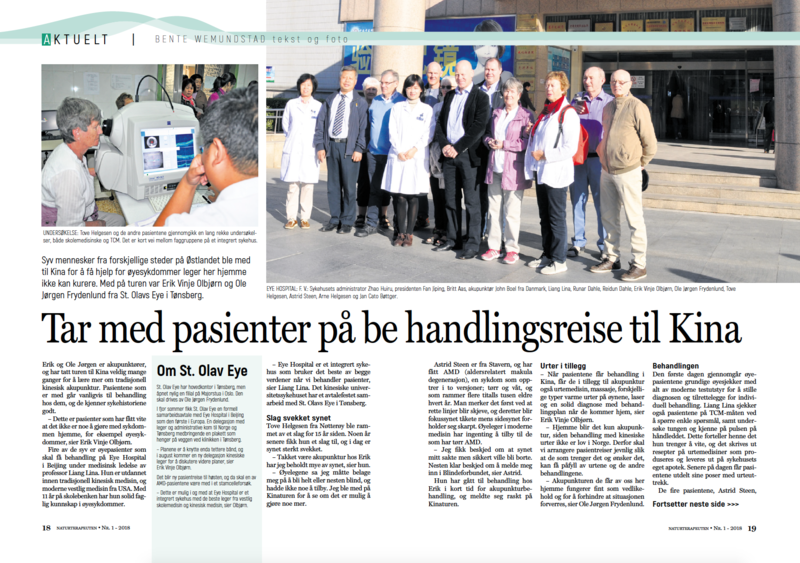 Article in ChinaPlus about our work and visit to China with norwegian eyepatients. 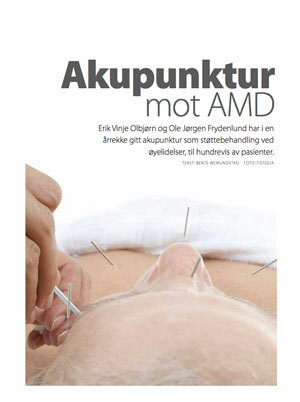 With close eyes on acupuncture. 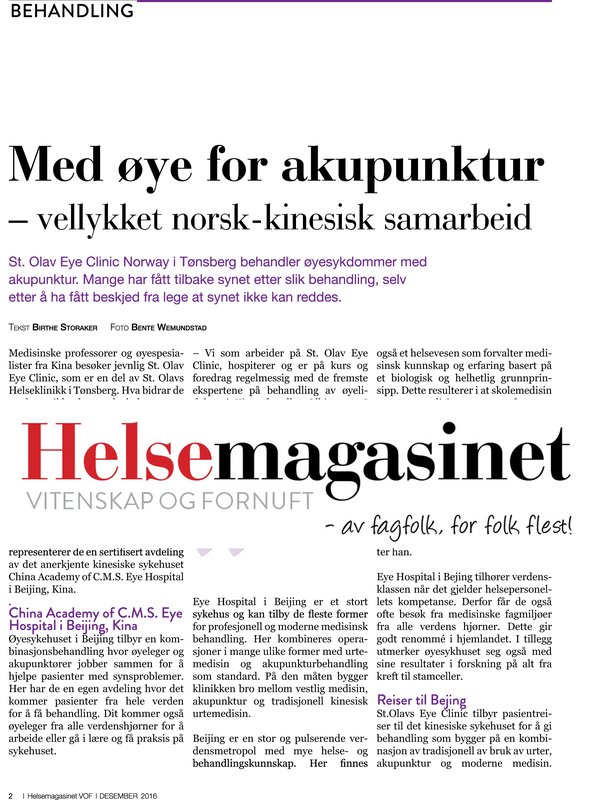 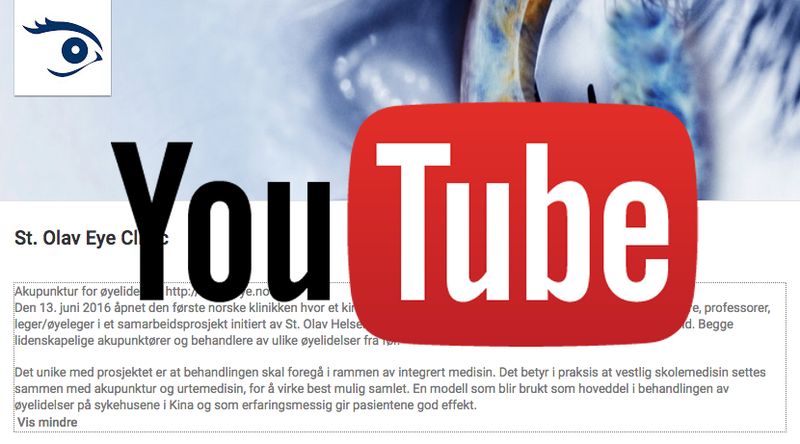 New hope for better vision! 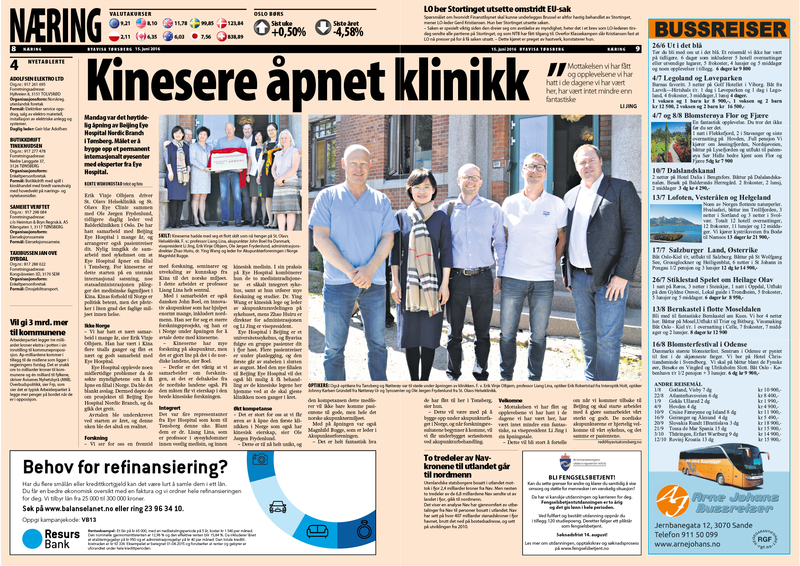 ByAvisa Drammen: With an eye on China! 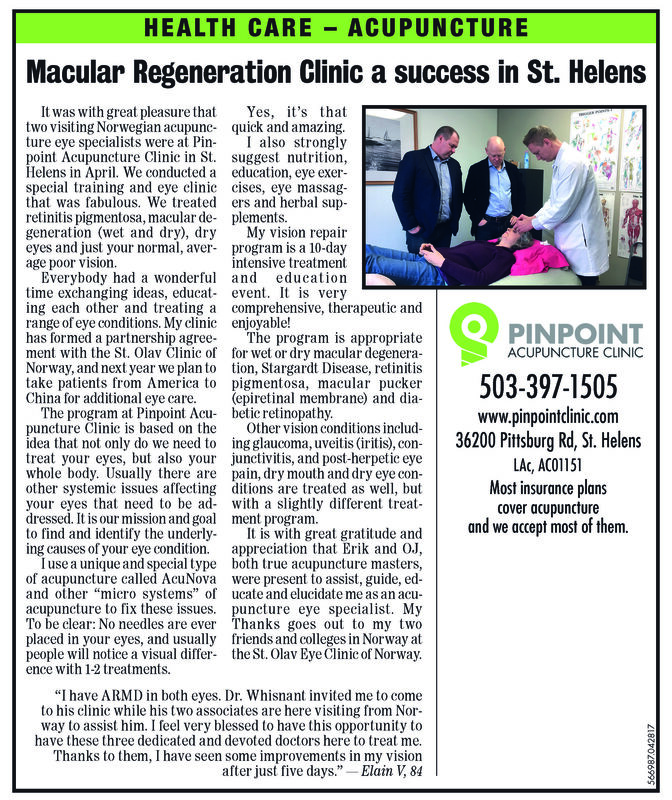 Eye Clinic had to expand! 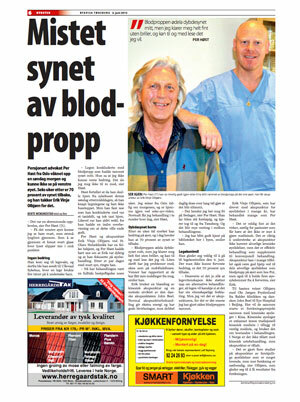 It was a complete shock! 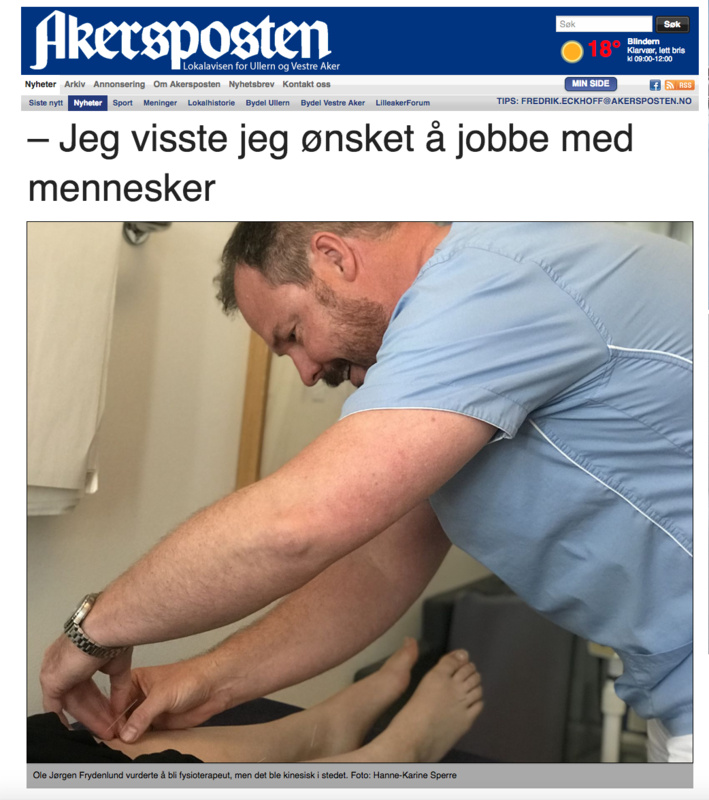 Did not see anything! 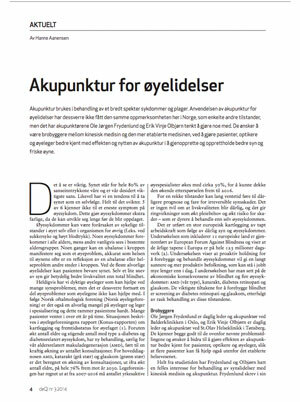 Vision disappeared. 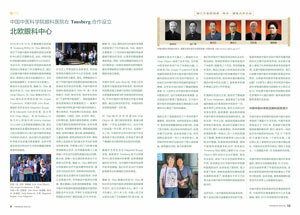 Got help in China! 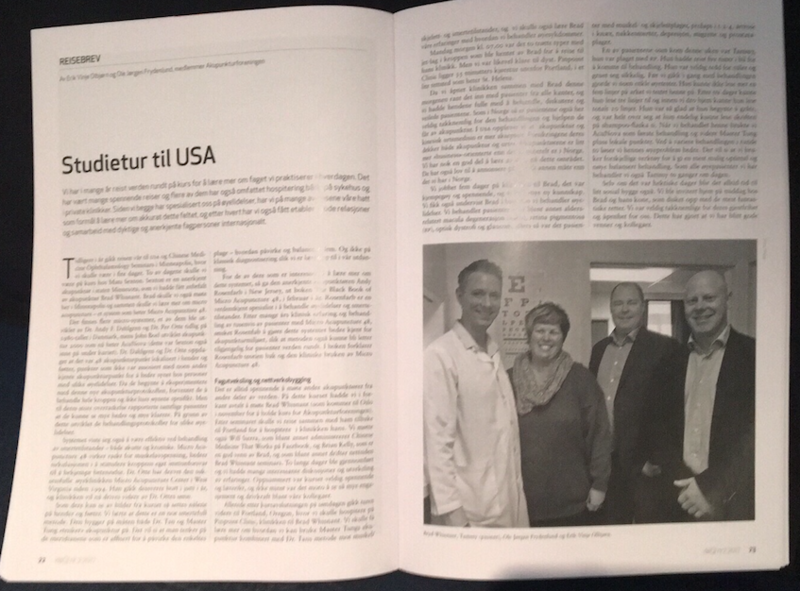 Article in DeQI about our US visit! 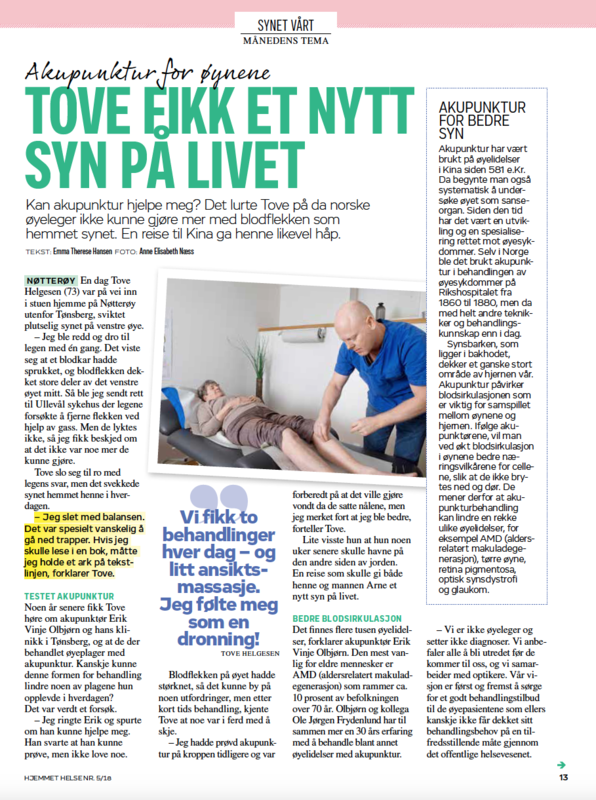 Hjemmet Helse: Tove got a new outlook on life!